Colt McElwaine began as a top junior cyclist on the mountain bike and later in the cyclocross world. 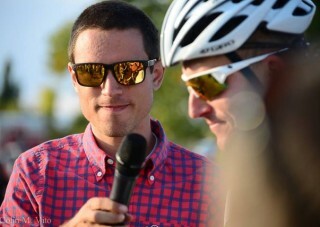 But where he is best known is behind a microphone and camera interviewing the top athletes in MTB and ‘cross. Colt started the revolutionary media outlet, CyclingDirt.org and later went on to play a major role in Behind the Barriers TV. These days Colt is still involved in the sport at all levels and runs his coaching company, Colt Training Services. We have a great discussion that touches on Colt’s racing career, the beginning of Cycling Dirt, the future of U.S. cyclocross and all points in between. We also do a modified who’s #1 and play a round of #cxdreamteam at the end. Please rate and review on iTunes. If you have any feedback, send it to feedback@cxhairs.com. Great show Bill and Colt.